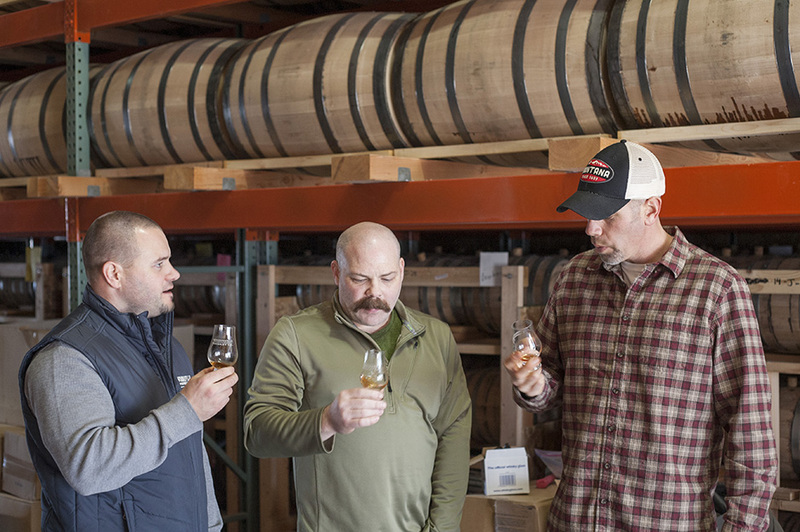 I had the distinct honor and pleasure to join the owners/distillers of Woodinville Whiskey Company on their bi-annual trip over the Cascades, to their rickhouses in Grant County, Washington – located on on the same land as the fields where their grains are grown. 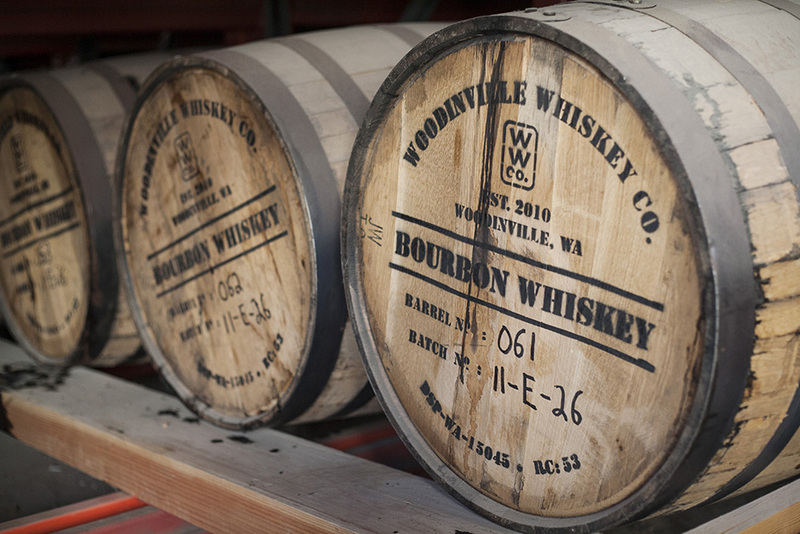 Here, their whiskey has been mellowing in 53-gallon oak barrels since their fist batch ever produced, in 2010. 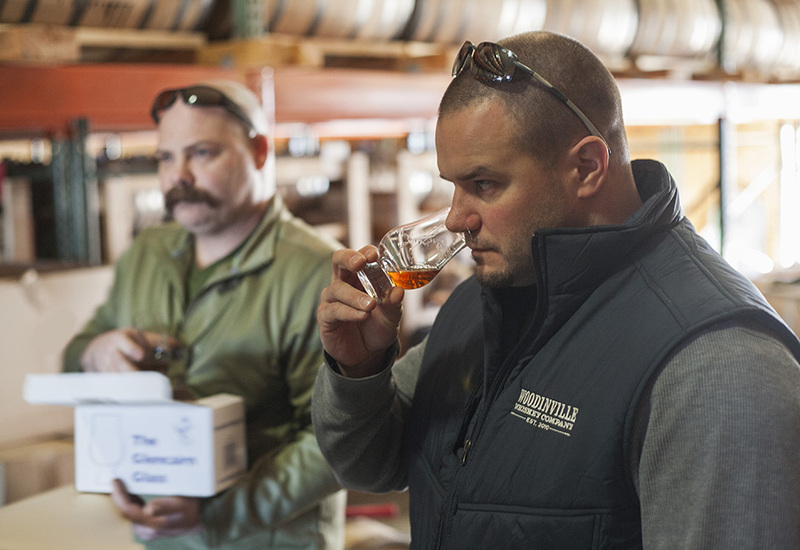 Samples were drawn from many barrels and tasted to determine the product’s readiness. 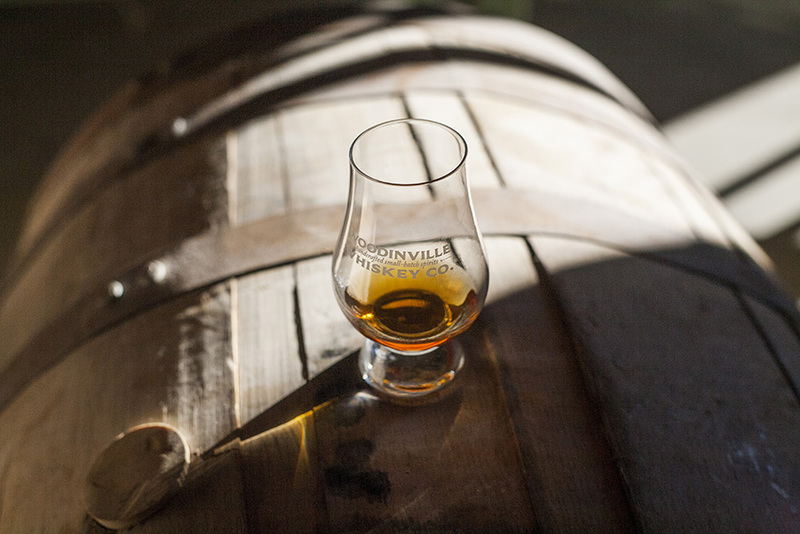 I’m happy to report that the contents of the barrels was deemed worthy to be shared with the public. It was very very good. Even at the high, straight-from-the-barrel proof, it was unquestionably drinkable, mellow, delicious. 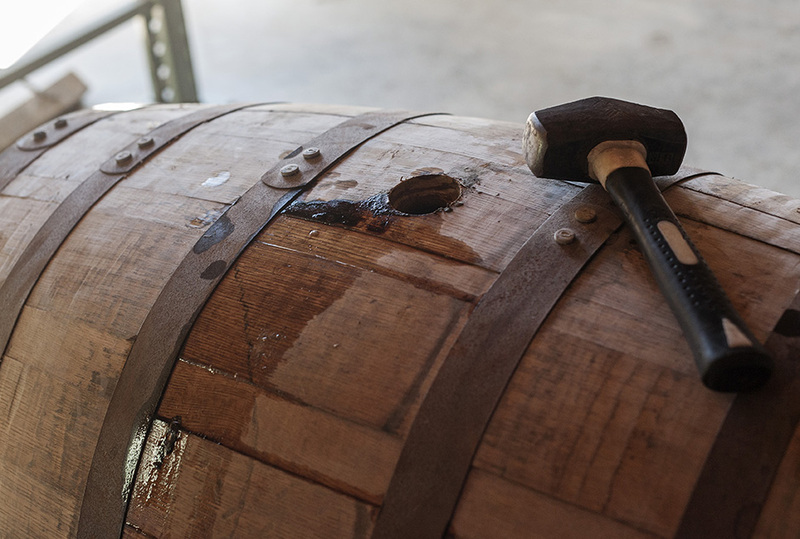 This is the moment they have been waiting for since they filled their first barrel in 2010. I can’t tell you how thankful I am to have been able to join them on this historic trip. I dare say I was the second person on Earth to taste this whiskey (at this age) – mere seconds out of the barrel – which will be their flagship product for years and decades to come. I’ve been working closely with them for almost two years to develop an original, custom glass bottle and a new label design. Check back for updates on that. I’ll be eager to share both, as soon as they are ready to photograph, in the coming months.